Which is the best Smartphone between Rs.60000 to Rs.70000 in India? Which are the best phones under Rs.60000? 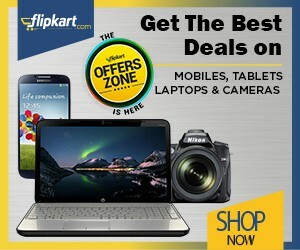 want to buy best smartphones below Rs.70000? Which is a good 4G VoLTE mobile below Rs.55000? There are many questions about flagship cell phone which we will answer here. The era of bezel-less smartphones has started and the notch system in the mobiles has been enabled. You will get 18:9 aspect ratio mobiles under this price range. There are many 4G mobiles in flagship range but we have compiled up the list of top 10 best android phones below 60k to 70k price range. Read the More Useful article – Best Mobile Phones Below Rs. 50000 and Best Smartphones Below Rs.40000. Looking for a gaming smartphone then these devices are best for you because they don’t lag anymore. Even the battery backup and internal storage they are providing are excellent. These smartphones are working on Android One initiative which enables them to get a free future android update. You can get Android Oreo update soon. The configuration you will found here is a 23 MP camera, 6GB RAM, 256GB internal storage and dual Camera. Apple compares its iPhone 8 with the DSLR cameras which is a big deal. All the smartphones are compiled according to the suggestions processed by Tech Guru, NDTV, Smartprix, My Smart Price and 91 Mobiles.